The most important configuration options for the Jedox Web Core Server are defined in the file ...\core\config.xml (Windows) or .../core-Linux-i686/etc/config.xml (Linux). You can configure the logging information about the Spreadsheet Server. For more information, see General Information about the Log Files. Here you can define the time (seconds) after which an orphaned user session will be closed (this is a session with no logout, where the browser window was simply closed). 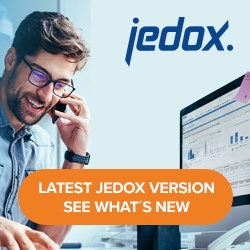 Here you can define the intervals at which the core creates a copy of the currently opened and modified Jedox spreadsheets (designer mode only). Possible options: worksheet, workbook, application. Normally formulas are only calculated for the visible area (plus dependent ones). You can set an extension of the calculation range. But an extension should be made only when necessary because the performance will suffer. With the entry “worksheet” (default entry) the calculations are limited to the previous formulas in the current worksheet. With the entry “workbook” the calculations are limited to the previous formulas in the current file. With the entry “application” all previous formulas are calculated in all opened files of the current Jedox session.